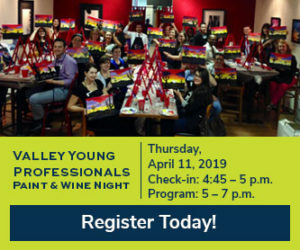 Join the Valley Young Professionals on April 11 for a paint and wine night to explore your creative side. 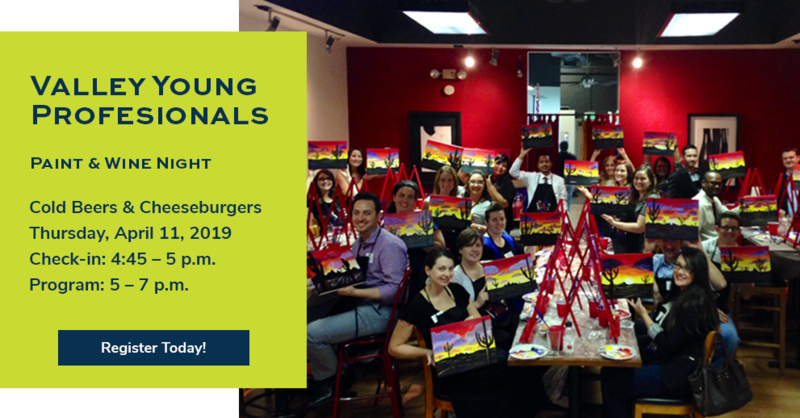 Even if it’s your first time picking up a brush, you’ll create your own masterpiece and connect with other young professionals in the Valley while enjoying a glass of wine or beer. Don’t miss this fun opportunity for a unique and colorful experience with VYP! Special notes: Registration costs include paint supplies and one beverage. Space is limited. Registration for this event closes on April 8, 2019, or once capacity is reached. Payments must be made in advance and no refunds will be given for cancellations made within 72 hours of the event. Questions? 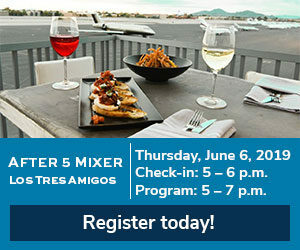 Contact Jessica Mayer at JMayer@phoenixchamber.com or 602.495.6473. Program Time: 5 – 7 p.m.